Hula Boat Care specializes in sharing our passion for marine surface care with like minded boat owners. Inspired by the relaxed life style of the South Pacific and with over 20 years of surface care experience we have created a line of boat compounds, polishes, cleaners, waxes and vinyl cleaners. Each professional grade product is tested then packaged for the enthusiast. Our boat hull cleaners, gel coat protectant and vinyl cleaners smell pleasant and are made with the highest quality ingredients to our precise standards. We enjoy the fact that they are easy to use and require minimal effort to get lasting results for your watercraft’s exterior and interior. Located in Austin Texas we are proud that our compounds, polishes, cleaners, waxes and vinyl cleaners are biodegradable and recyclable to be environmentally responsible. 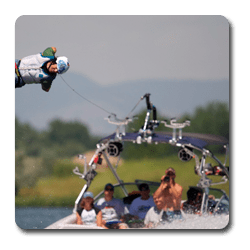 Hula Boat Care products are designed for the avid enthusiast. We developed our eco-friendly boat and gel coat compounds, best rated boat wax, spray detailer, spider repellent vinyl cleaner and conditioner, mold retardant and mold stain remover and water spot remover specifically with performance in mind. Whether you are just getting off the water or preparing for the season you will find our boat polishing and maintenance products easy to use for professional quality results. To learn more about our boat polishing and waxing products, application guides or solutions to common defects, we invite you to browse our boat wax and other product pages and education center.